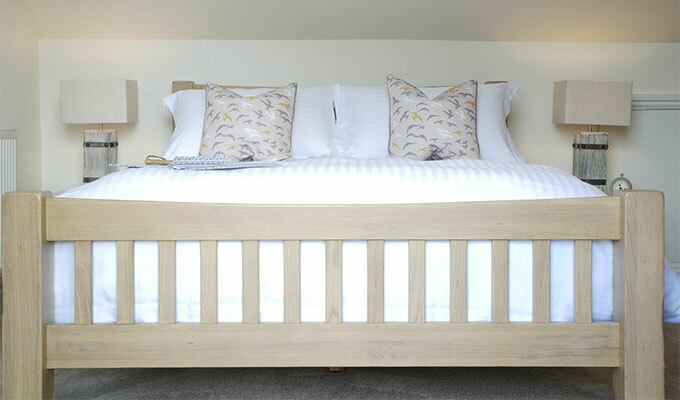 A King Size bed with that cosy pillow topped mattress will ensure your comfort through the night. There is a seating area with coffee table and comfy chairs to relax and a flat screen TV with free view channels. 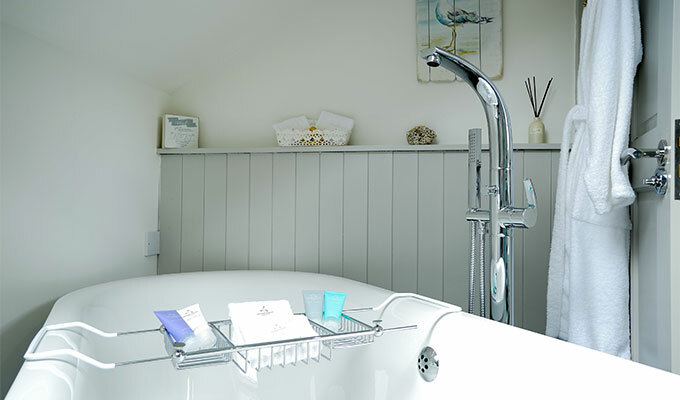 In your silent mini fridge, you’ll find fresh milk and complimentary mineral water plus on the refreshments tray a choice of premium teas, coffee, chocolates and homemade biscuits. 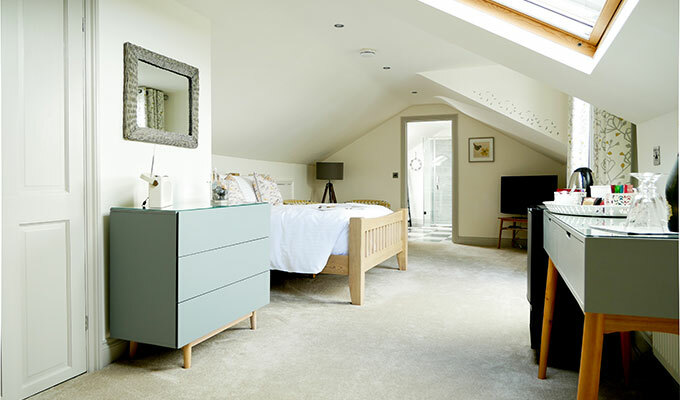 A luxurious spacious room with a touch of retro styling. 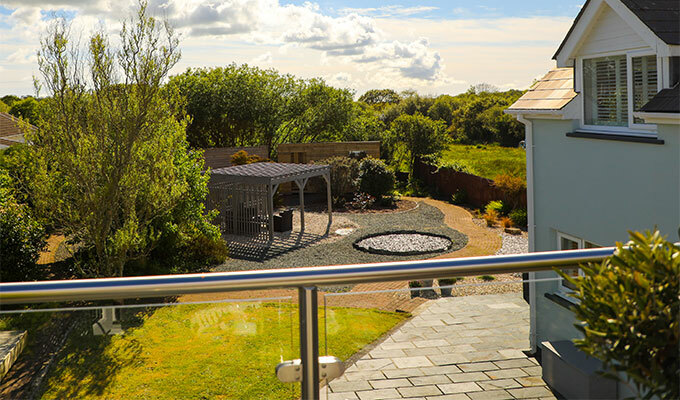 Your very own private balcony accessed via French doors, where you can sit and enjoy the views over the rear garden.